I’m really passionate about photography and I’ve found certain books have helped me along the way. Whether you’re starting out with photography, or even advanced with it I think these books are some of the best out there! 01. Lonely Planet’s Best Ever Photography Tips – This is a pretty tiny book, so you could even take it around with you whilst out photographing. It talks about everything and anything you could possibly imagine involving photography. It tells you about camera settings, light, equipment that is useful, how to work in manual on your camera etc. Its an all rounder book that has some lovely photos in also, which is always a plus. I love looking at the pictures. Would really recommend this if you’re quite new to photography, or just bought a dslr camera. Super helpful. 02. 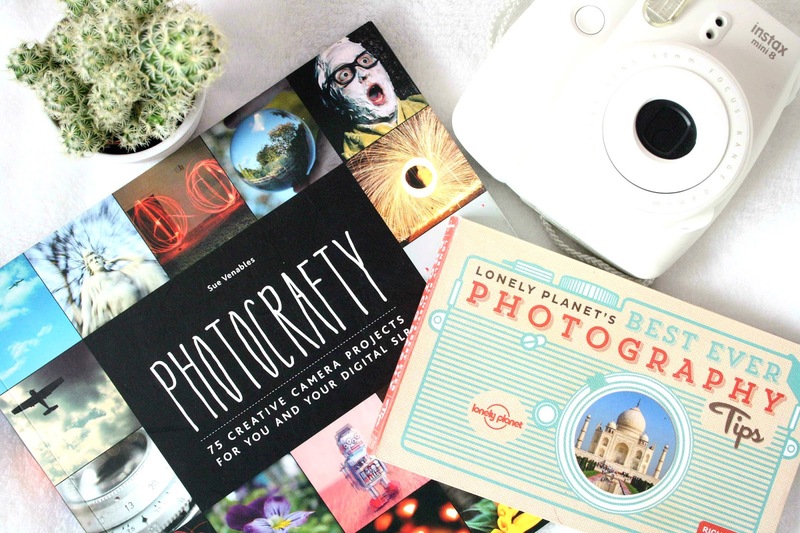 Photocrafty – If you’re really into the creative and wacky side of photography this is a book for you. This book is packed full of creative ideas to do with photography. It also gives tips on how to work your camera, settings, lighting etc. There are 75 ‘projects’ you can have a go at to get your camera to its full potential. If you like getting hands on you’re really going to like this. Its really fun, simple to understand/read and has some amazing photos in to look at also for inspiration. 03. Digital Photography Step by Step – For those of you who don’t mind reading a lot, this ones a big one. More of a ‘manual’ type book, this probably has every single thing you need to know about digital photography in the history of forever! It also tells you how to work your camera, so you can get the best out of whatever you’re using. It really goes into depth about how to take different types of shots, the camera settings, lighting etc. If you’re looking to go really thoroughly into digital photography I think this is an amazing book to get you started. Let me know if theres anymore photography books worth the read!